Hi beautiful, today I’m going to share with you one of the most secret hair oil recipes of my grandma, this secret hair oil recipe needs only few ingredients with noticeable result. If you use this hair oil on the regular basis means you will definitely get the good result. This hair oil will helps you to get strong, long and black hair. Which girl doesn’t want a long and thick hair? So please try this hair oil once and u never leaves this hair oil anymore. 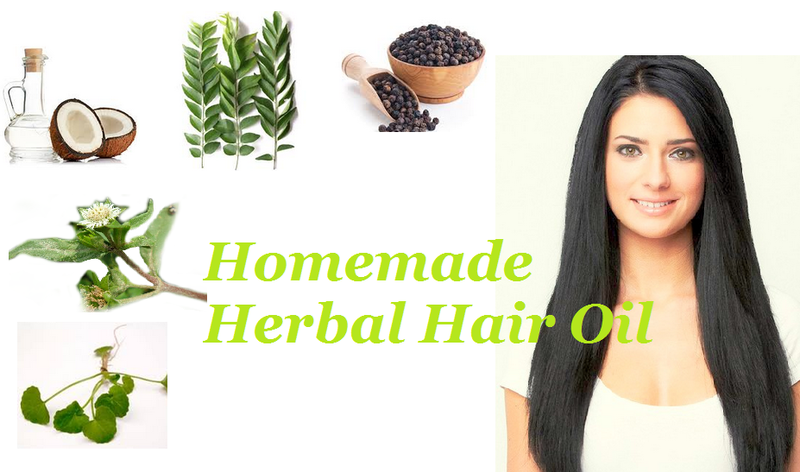 For this hair oil you will need only 5 ingredients which will be easily available in your home garden or in kitchen itself. Let see how to prepare this hair oil and their benefits. Take all the leaves and wash it off thoroughly in running water and dry them for an hour in room temperature this process to remove all the wetness of the leaves. Crush the pepper in the mixer grinder or hand grinder to make it into a coarse powder. Grind all the leaves using mixer grinder to get smooth and fine paste. Take an iron heavy bottom kadai/pan heat that in a stove and add 500 ml of coconut oil into it and heat it until it becomes smoky. Then add the pepper powder and allow it to fry for 3 minutes and then add the ground leaves paste and fry it for about 5 minutes and switch off the flame. Allow the oil to rest for whole day. After a whole day rest squeeze out the leaves and pepper mixture from the boiled oil using cheese cloth or cotton towel with the help of strainer and then pour the oil into a glass bottle and keep it in a cool and dry place. Take one tablespoon of this oil rub it on your hand and apply that on your scalp and give it a good massage for 15 minutes and apply the oil all over your hair till the ends and allow it to soak overnight and in the morning wash it off with herbal shikakai powder don’t use chemical based shampoos it will spoil all the benefits that you got from the oil. Use this oil massage twice a week to get good result. If you have any more doubts leave it in a comment section below, I will solve your doubt asap! Curry leaves makes your hair black and shiny, it will reverse the premature grey hair. Bhringraj leaves improve hair growth and gives natural dark hair. Brahmi leaves rejuvenates your hair and make it more thicker.